Registration for classes for 2018-2019 will be on August 4th from 10am-2pm at The Academy of Gregory Hancock Dance Theatre. You’ll be able to speak with teachers and see the studios! For new students, we have a special going on! New students will be able to take one week of UNLIMITED classes for FREE! For a class schedule and to view registration forms, click here. 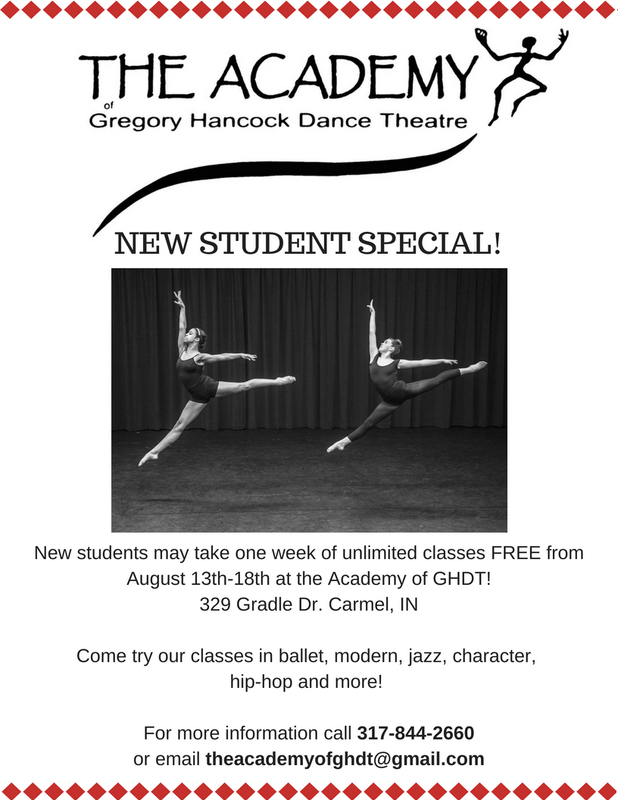 Auditions for Gregory Hancock Dance Theatre’s pre-professional company, G2, will be on Tuesday August 14th, at 7:00pm, at AGHDT. G2 Apprentices and CATS will also audition at this time. Members of G2 have performance opportunities in GHDT Company performances and take unlimited classes each week at the academy. There is no extra fee, but the do have required classes and rehearsals throughout the week. 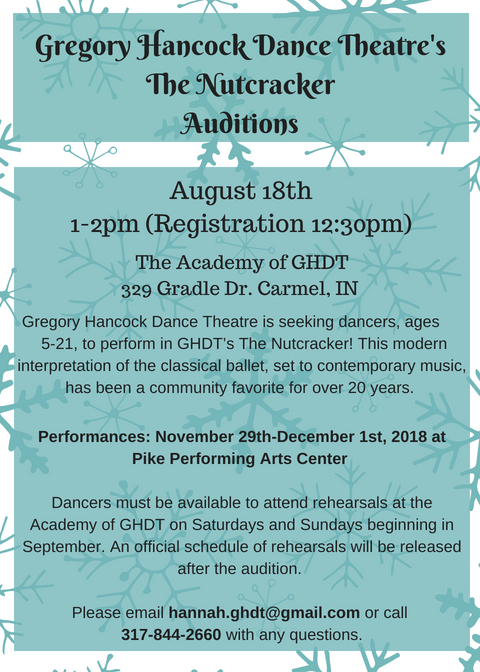 Auditions for GHDT’s 2018 production of THE NUTCRACKER, will be on August 18th from 1-2pm, and AGHDT. Registration for the audition will begin at 12:30pm. Any dancer age 5-21 may audition. Participating dancers must be able to attend rehearsals on Saturdays and Sundays beginning in September. Performances are November 29th – December 1st at Pike Performing Arts Center.